Get together at the Clarion hotel Palm Island Indoor Waterpark in Batavia, NY. This pet-friendly hotel is near destinations like Batavia Downs, Genesee County Airport and our Clarion Hotel Palm Island Indoor Waterpark. Enjoy amenities like free WiFi, business center, fitness center, free weekday newspaper and a lounge and bar. 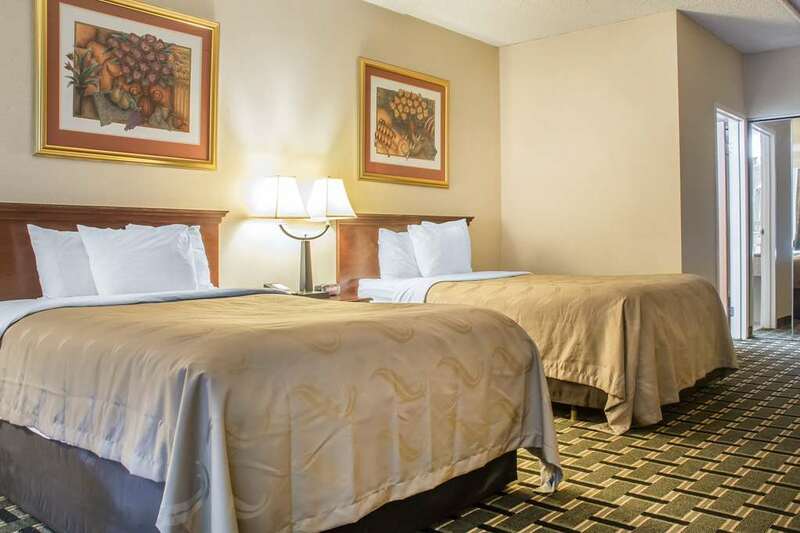 Guest rooms include a refrigerator, microwave, hair dryer, coffee maker, iron and ironing board. Also, earn rewards including free nights and gift cards with our Choice Privileges Rewards program.